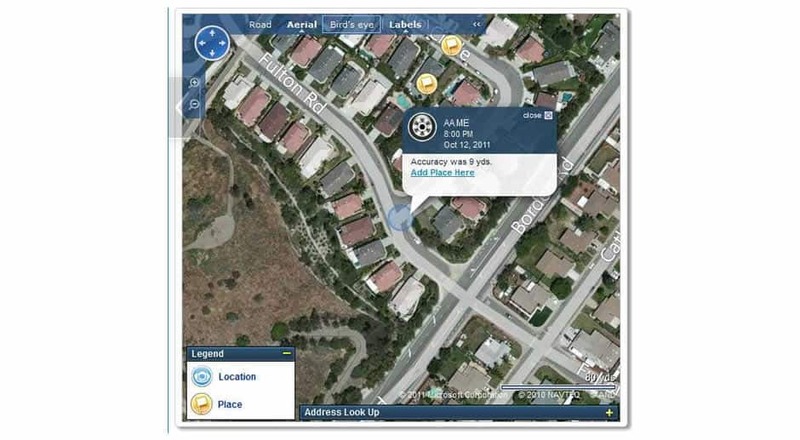 Bottom line: While the Sprint Family Locator has endless positive features (i.e., safety checks, text alerts, time stamping, location history, accessibility via a computer and no need to download apps on phones attached to the plan), one of the main factors that we look for in a phone locator app, accuracy, is hindered. Many reviews claim it is rarely accurate and phones cannot be located for minutes, hours and sometimes not at all. I found this to be true about twenty percent of the time when using it with my daughter and husband. This may be an app touted as one of the best by Sprint but parents may have to disagree and look elsewhere for true reliability. Pros and Cons: The main positive aspect of this family tracker plan is that it does not need to be downloaded onto your family member’s phone. This means they do not have the ability to deactivate it and prevent parents from being able to use it. With that said, the accuracy may be hindered if the GPS is turned off on the individual phones themselves. One other limitation with this app is that is can only be used Sprint or Nextel phones. If any family members have opted to get their own cell phone with another carrier, as many teenagers seem to do, the Sprint Family Locator app will not be able to locate them. Keeping track of family members has become especially difficult with our generation. Kids are in school all day, at their friends’ houses after school and at tons of activities on evenings and weekends. That is where GPS based applications come in. They seem to be the new way to keep track of each other as a family, especially for parents monitoring their kids’ whereabouts. The Sprint Family Locator app is just one of the many GPS family locator apps available. The Sprint Family Locator app allows a parent to locate any phone on their Sprint family plan. This includes smartphones, as well as regular phones that younger children may use. There is no need to install anything on your phone except the Sprint Family Locator app. Once it is installed on your phone, it is active and you are able to track any other phone on your plan. This means you do not need to install this app on any other phones (including your kids’ phones) to use this service and the phone user, such as your kids, do not have the option to “opt out” or “kill” this app to prevent it from tracking them. The Sprint Family Tracker uses GPS positioning to locate your family members on an interactive map. You can have up to five phones on your account at one time. Each phone is visible on the map with a picture of your family member, a time stamp and a physical address of the location. While the Sprint family finder interface has received excellent reviews looks-wise, the reviews for reliability have not been stellar. Some users have stated that the family finder is inaccurate and it will not locate their family members, even when they are right beside them. Others claim it takes several minutes, sometimes hours, to update the last location. These are legitimate concerns and ones that I found to be valid when using it myself. My child plays on a club soccer team and I like having the ability to know exactly where she is when she is traveling with the team and other parents. On several occasions, the family locator gave me a location that was several hours off. It has also stopped running in the background recently. This requires me to have to open and restart the app regularly. In my opinion, reliability is high on the priority list for an app such as this, and Sprint will have to make some improvements if they hope to increase this plan’s popularity. As far as set-up is concerned, Sprint Family Locator is very easy to install and access. The main phone on the account that will be managing Sprint Family Locator will need to be a smartphone since it will need to download and install an app. The other phones on the plan can be smartphones or regular phones as previously stated. In order to sign up for the service, Sprint customers need to visit the Sprint Family Locator site on Sprint’s website, enter their mobile number and they will be sent a temporary password to use when registering. After the text message is received, the app needs to be downloaded and installed. Once the app is installed, the other phones on the plan will receive a text message notifying them that they are locatable. They will also receive a text message periodically to inform them that they continue to be located. One of the perks of this service is that, although other phones on the plan receive messages notifying they are locatable, they do not have the option to “opt out” and not be located by the Sprint Family Locator service. The app does not need to be installed on any other phones on the plan and it cannot be deactivated or deleted by any user. This was one of my favorite features and one that I was not able to find in any other apps on the app market. I found the Sprint Family Locator easy to use and had no issues installing it or beginning to use it. It took some time to add photos to each profile but, other than that, it was easy to get started. When it comes to features, Sprint Family Locator has a long list of features associated with it. Besides being able to locate your family on your phones via a real time map interface, parents can also view updated locations online. As with the phone app, this has received mediocre reviews for accuracy. Locations are accurate most of the time but, on occasion, many have complained that the most recent location is not accurate and/or some phones cannot be located. This may be due to signal strength or it may be due to problems with the app itself. Personally, I like the ability to be able to access the Sprint Family Locator from work since my phone does not receive a signal in my office. Some of the other features include text message and email alerts, location history and automatic safety checks. Text and email alerts help let you know if your child is where he or she is supposed to be at the time you expected them to be there. Location history and safety checks helps you see if your child arrived safely and on time to school, work or an activity. I love this feature because the time stamps give me proof when I need to confront my daughter on why she arrived late to class when she was dropped off ten minutes early.  The family locator plan is reasonable at a cost of only $5 per month. For only $5, parents can perform endless locates on phones tied to the plans, set specific safety checks for each phone, send and receive unlimited Sprint Family Locator text messages and send and receive notification emails as well. There is a 15 day free trial offered for those that want to try it out and test its accuracy. Based in Los Angeles, Ellie Perico has been writing since 1992, specializing in family topics including parenting, safety, education, health, nutrition and fitness. Her articles have appeared in countless publications and websites, including the “Daily News”, the “Burbank Leader” , the “Latina” magazine, and “Playground Dad.” Ellie Perico holds a Master’s Degree in Multicultural Education. She is also a mother and former educator. Top 3 Mobile Phone Apps to Help Protect Your Children!